As clichéd as that statement sounds, there’s some truth to it. In today’s world of social media and fast paced life, images have taken over the magic that used to once belong to words. The power of a beautifully captured portrait, with the perfect camera angles and the fall of the light is incomparable. And Instagram has a lot to do with this. This social media platform has given many a photographers a platform to showcase their talents. If Instagram is the canvas, then the photos are the art. So here are a few that’ll inspire you to get your Singapore visa and head on to the island city. Through your eyes or through the eyes of your phone. 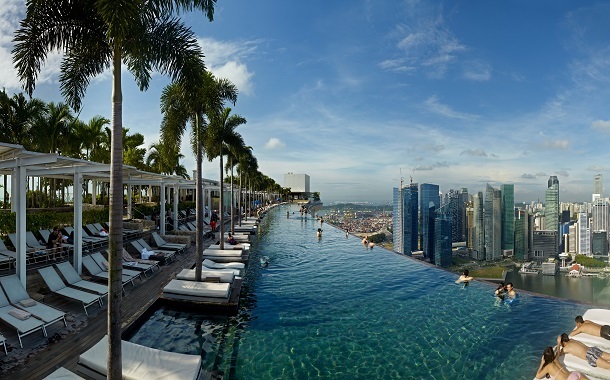 Singapore looks just as stunning. Singapore is known for its mix of cultures. Nothing makes that more evident than this beautiful shot of the 1929 shop house with its intricate motifs. Singapore definitely knows how to celebrate. A float at the Chingay Parade, an annually occurring event in Singapore. The stunning Super Groove trees, lit up in all of its splendour and glory. Talking about Singapore is incomplete without a shout out to its food. All colours in one place. This happens only in Singapore. The Tiong Bahru Market, just as vibrant as the city it's in. The culinary world puts its best foot forward during the Singapore Food Festival. Singapore's first UNESCO World Heritage Site, The Botanical Gardens. If the pictures are so breathtaking, wonder what the real experience would be like. Actually, no need to wonder, just get your flight tickets to Singapore and go check it out for yourself. It's truly magical.